Oblique aerial view centred on the bridge with the toll house adjacent, taken from the SSW. 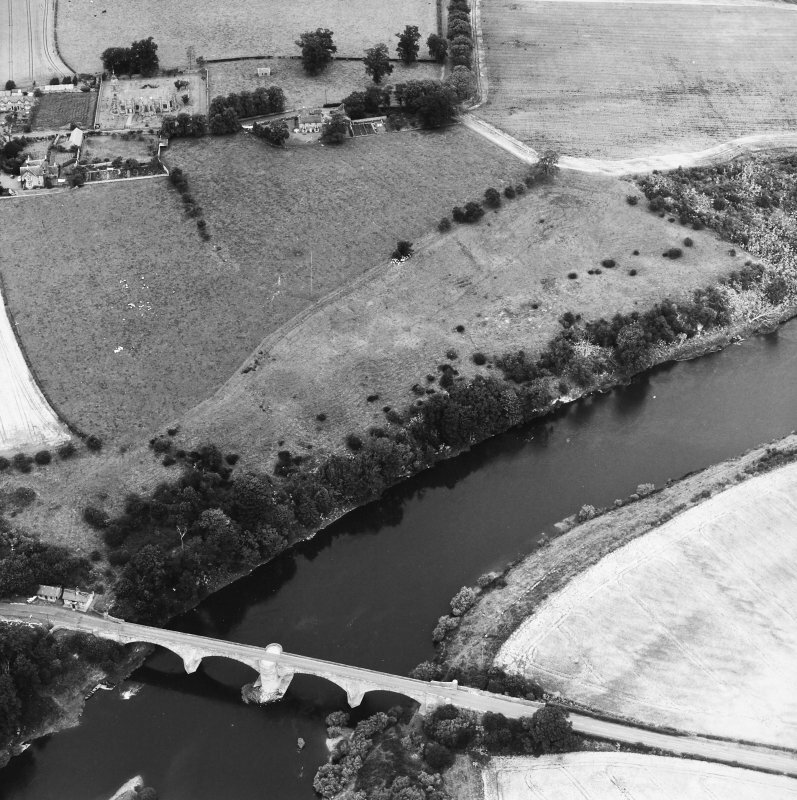 Oblique aerial view centred on the bridge with the toll house adjacent, taken from the S.
Oblique aerial view centred on the bridge with the toll house adjacent, taken from the E.
Oblique aerial view centred on the bridge with the toll house adjacent, taken from the SSE. 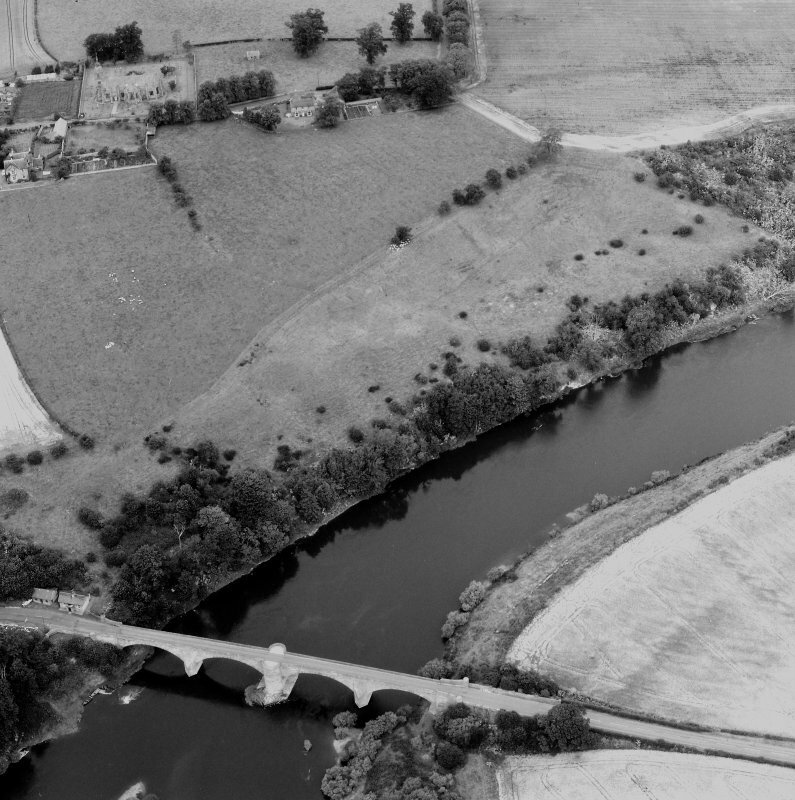 Oblique aerial view centred on the bridge with the toll house adjacent, taken from the SW.
Oblique aerial view centred on the bridge with the toll house adjacent, taken from the ENE. 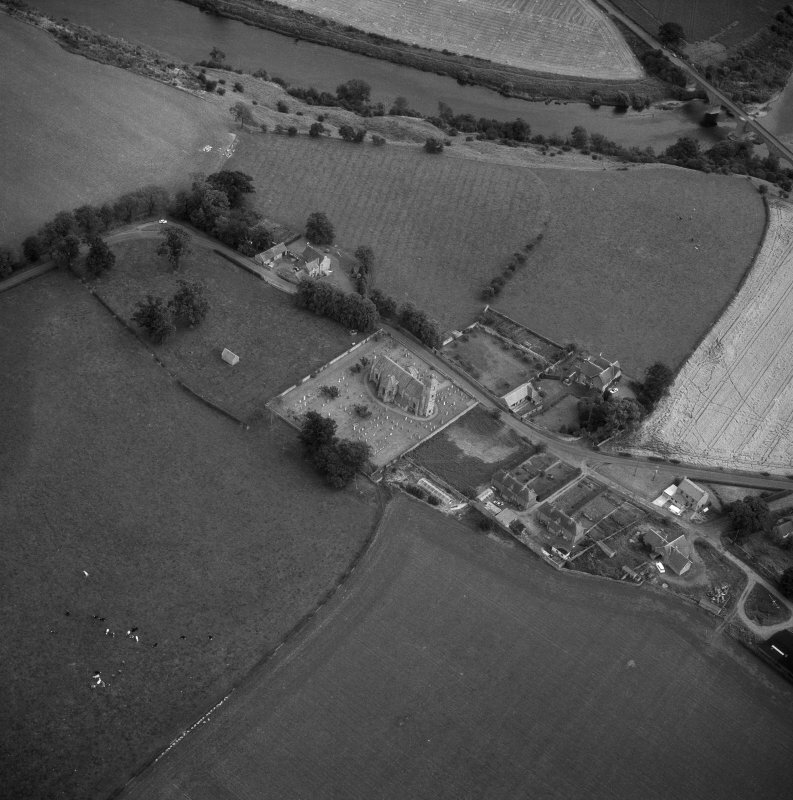 For associated tollhouse (Lower Toll Cottage, adjacent to W), see NT84NE 52. 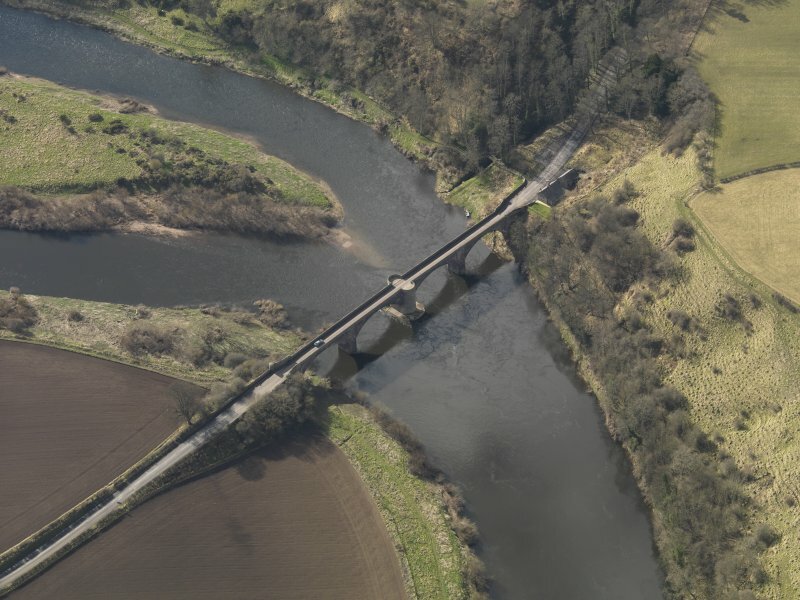 The B listed bridge over the Tweed between Ladykirk, Scotland and Norham, England is visible on large scale vertical air photographs, (OS 71/050/032, flown 1971). 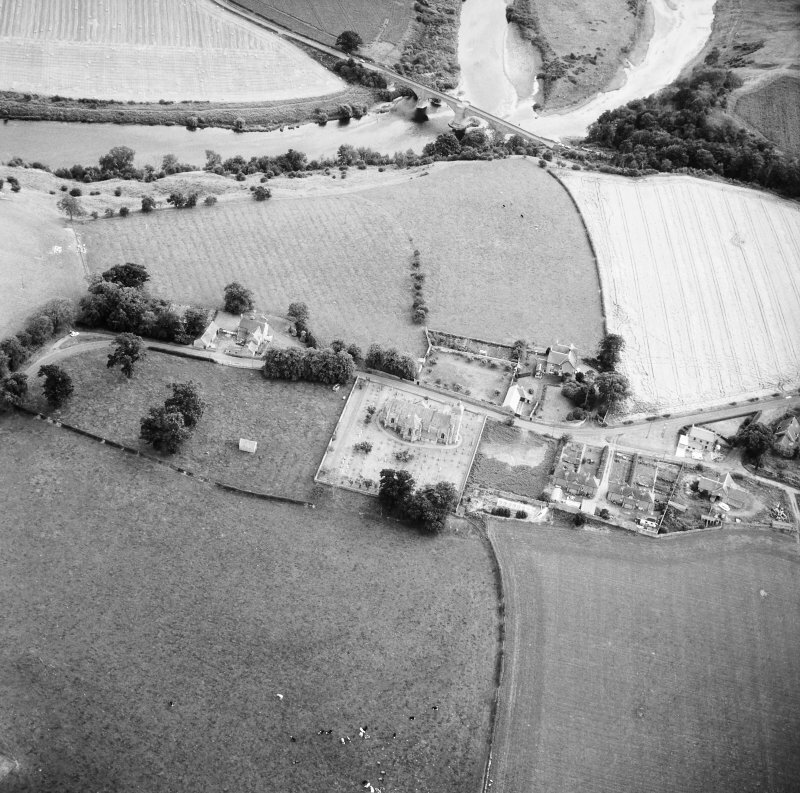 (Location cited as NT 890 473). 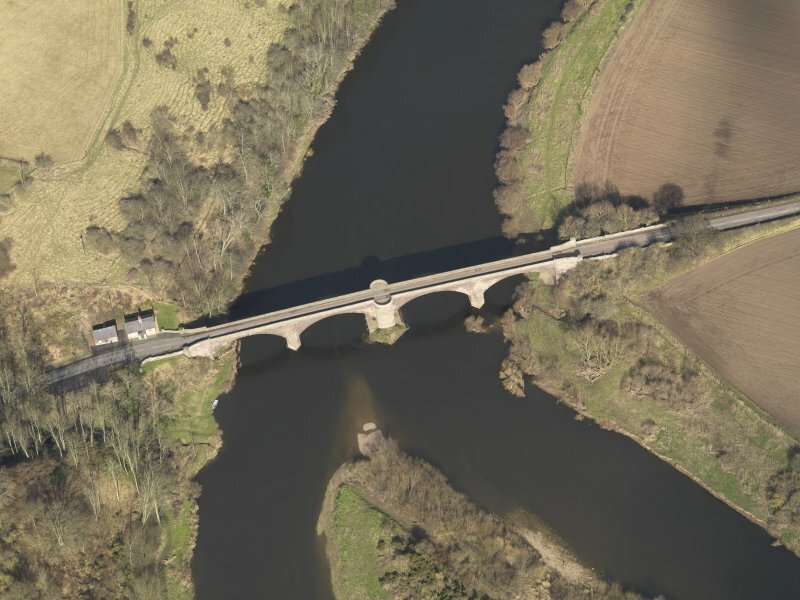 Ladykirk-Norham Bridge, and tollhouse, built 1885-7, engineers Codrington and Brereton. 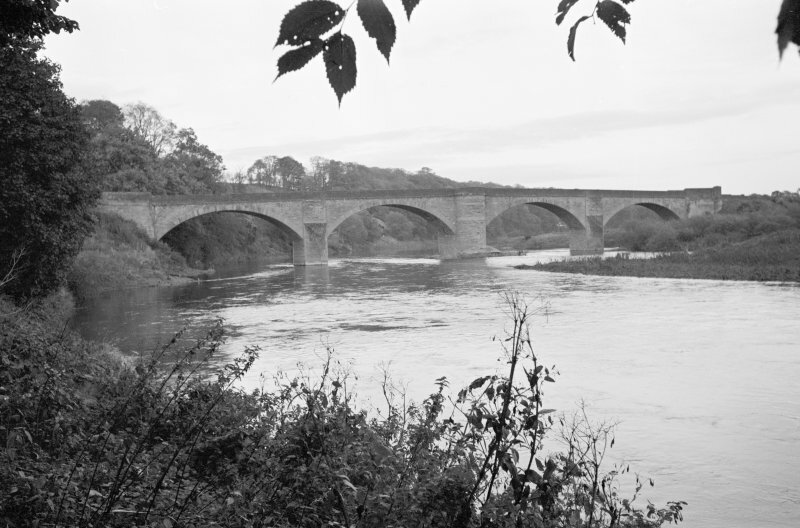 A 4-span bridge, with dressed-stone arch rings, coursed-rubble spandrels and wing walls. The central pier has a rounded cutwater carried up to form a pedestrian refuge; the other piers have triangular cutwaters. The arches are segmental. 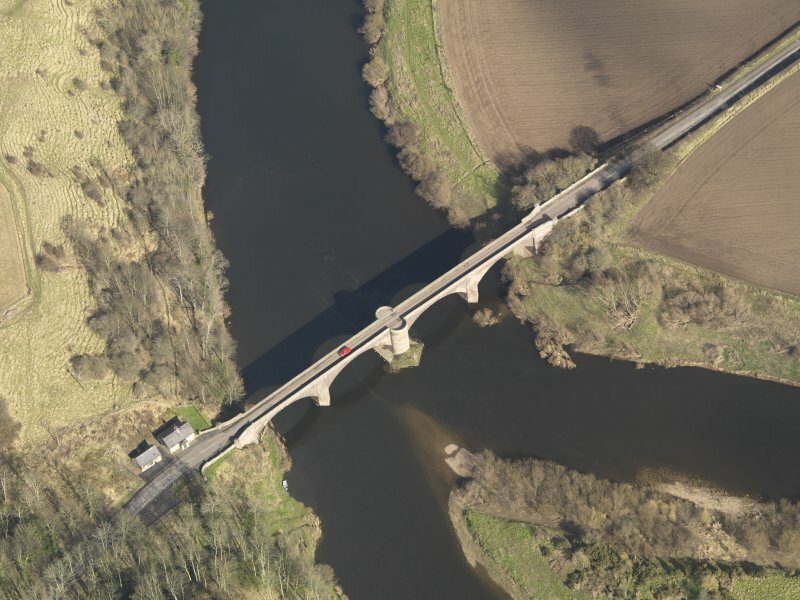 Ladykirk & Norham Bridge & Tollhouse, 1885-7, Thomas Codrington & Cuthbert Brereton, engineers. 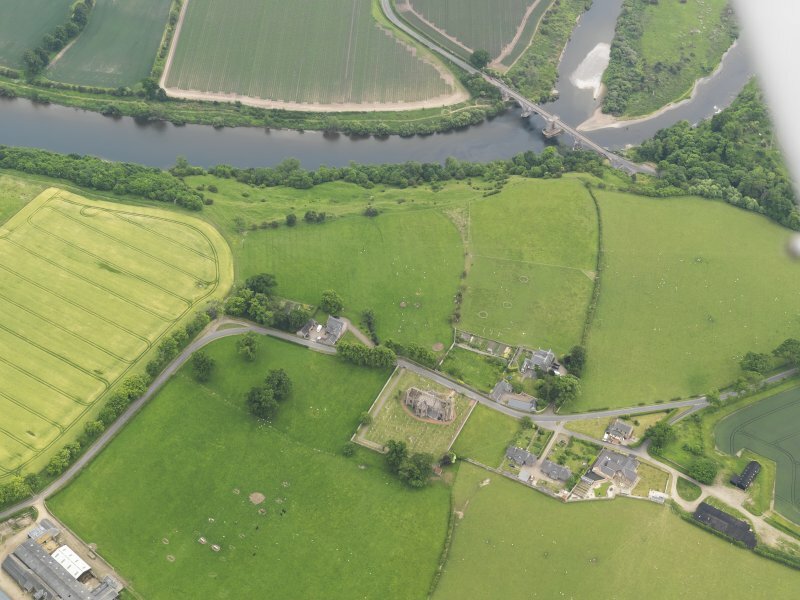 Four broad arches, red sandstone rock-faced with ashlar dressings, apsidal central cutwater with similar projection in parapet, outer cutwaters triangular and broached. 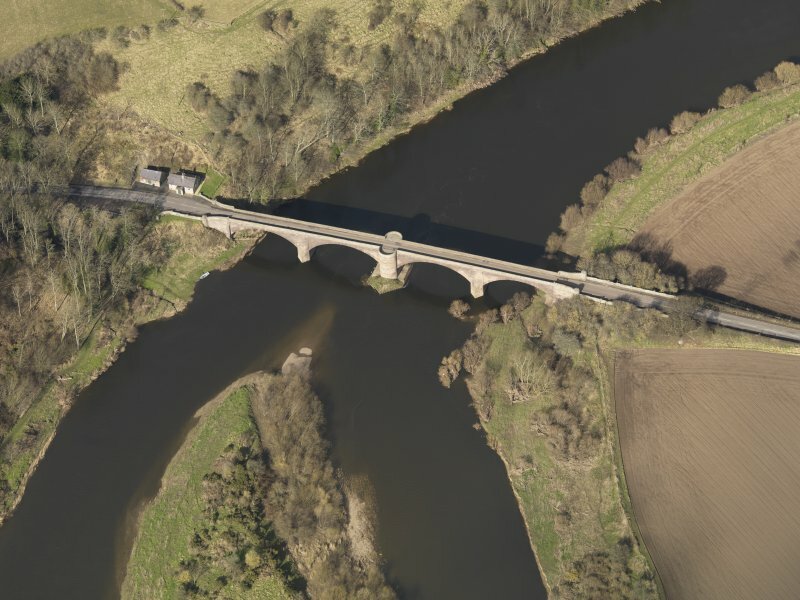 Built for the Tweed Bridges Trust. 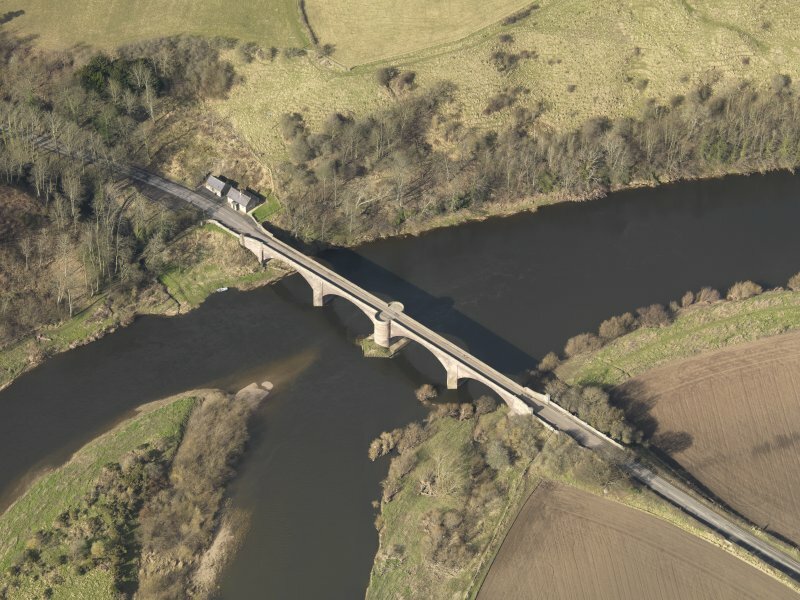 This bridge carries an unclassified public road over the River Tweed to the S of Ladykirk village (NT84NE 48). 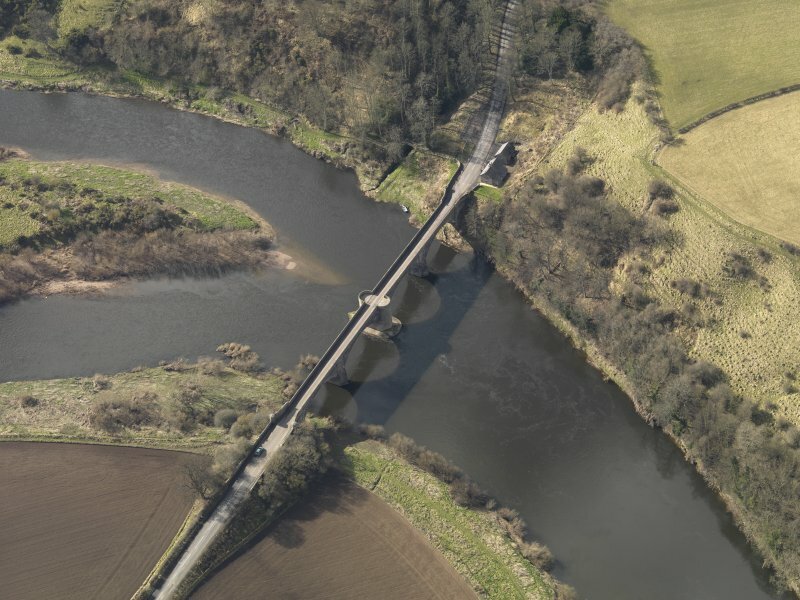 The river here forms the boundary between the parishes of Ladykirk, Scotland (to the W) and Norham, England (to the E). 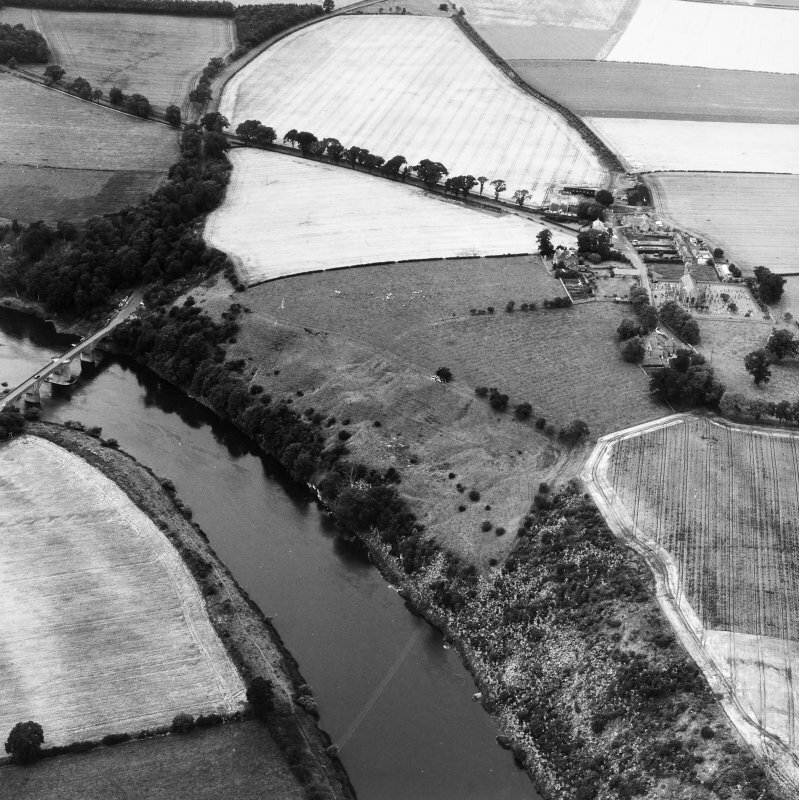 The location assigned to this record defines the point at which the span crosses the main channel of the river, and thus the national boundary. The available map evidence suggests that it extends from NT c. 88964 47289 to NT c. 89130 47271. 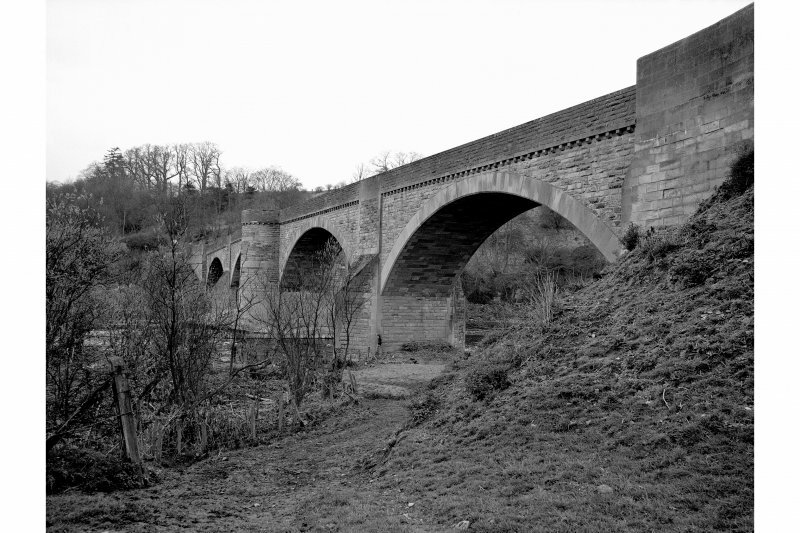 This bridge, with its four segmental masonry arches, was erected over the Tweed from 1885–87 by G. Meakin and J. W. Dean to a design of Thomas Codrington. 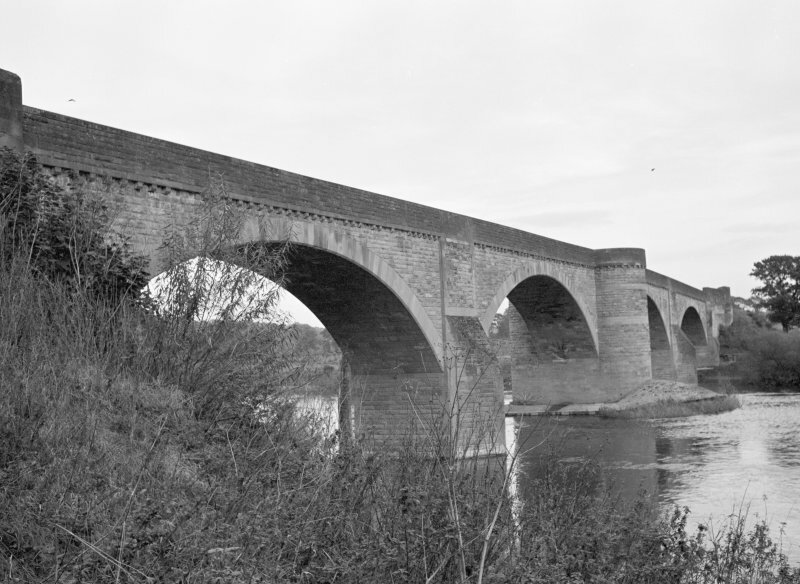 It has two 90 ft central spans flanked by 85 ft spans, all of hollowspandrel construction, and is 16 ft wide. 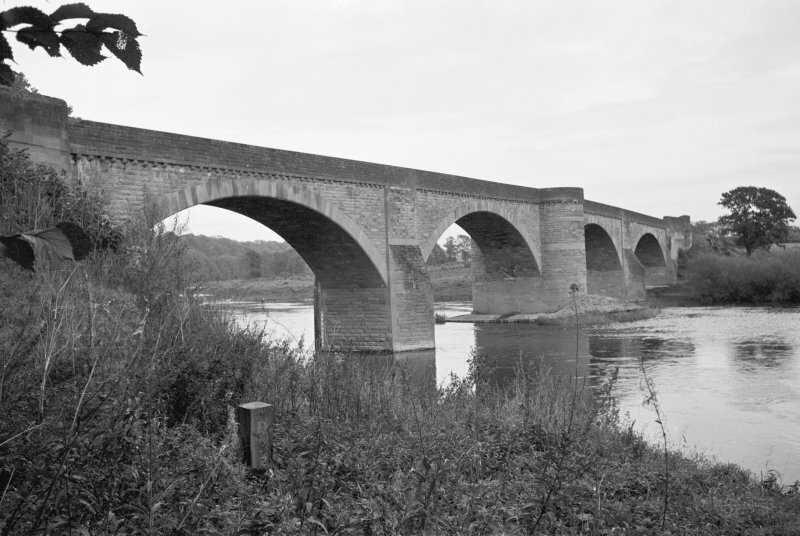 The bridge replaced a bold laminated timber segmental arch-truss bridge with two 190 ft spans designed by J. Blackmore and erected in 1838.